TELESIS 8 Thinner can be used to thin out Telesis 8 Silicone Adhesive when necessary, as well as prime the skin surface before application. 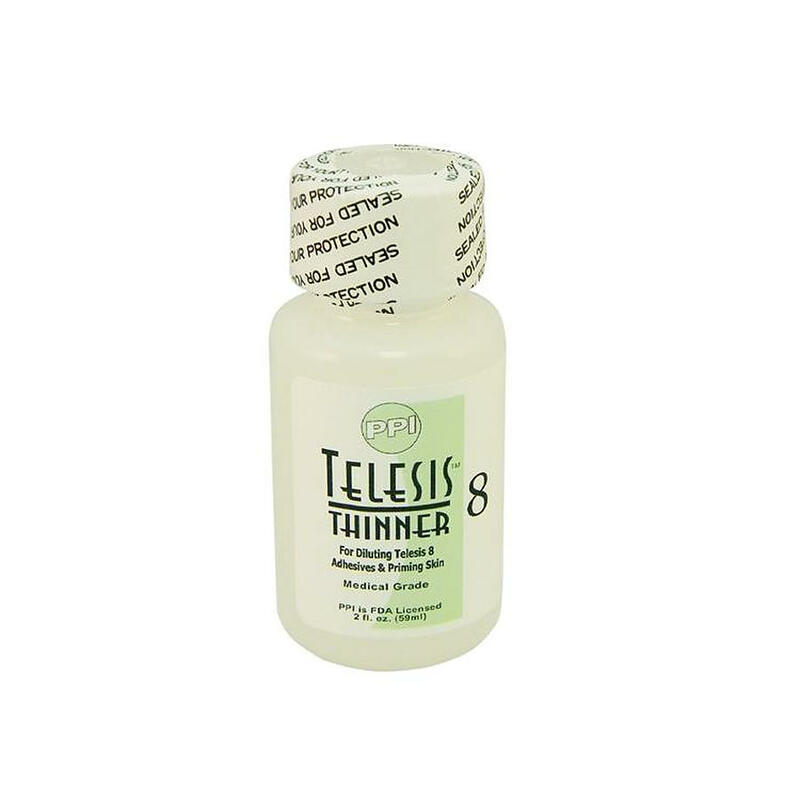 To accelerate the drying time of Telesis 8, prime the skin with the Thinner and then apply Telesis 8 to the appliance. Once the two surfaces connect, the drying time will take only a few moments. The hold is incredibly strong but very easy to remove with Telesis Super Solv Plus. This product is not compatible with Telesis 5 nor Telesis 7 silicone adhesives.